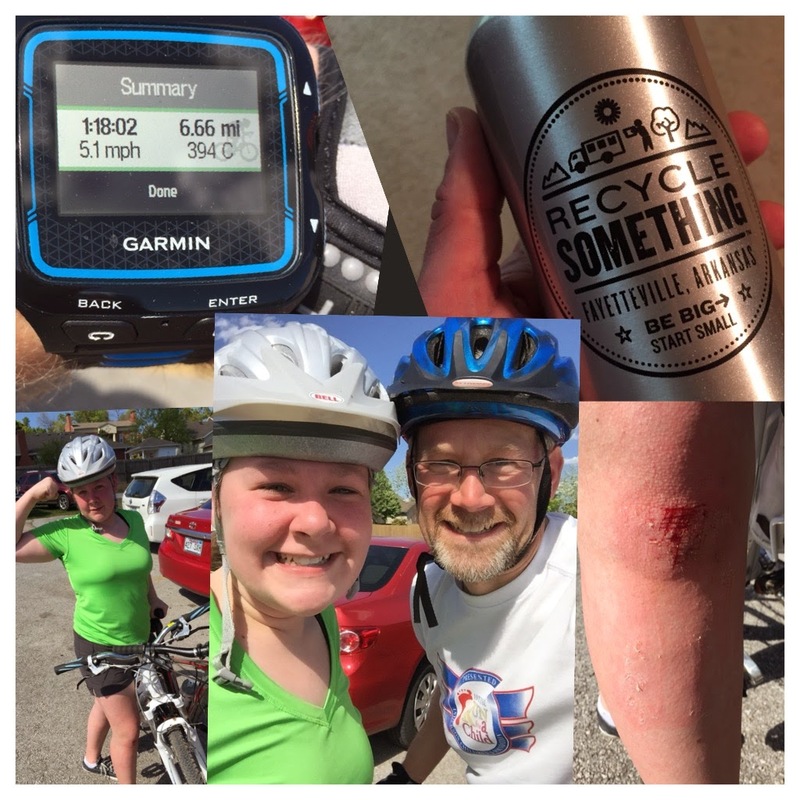 This past Saturday, my daughter and I went out to Lake Fayetteville for her very first mountain biking trip. She knows how to ride a bike, but riding off trail can be a very different creature. I have to say that she did great! She had one tumble and ended up with some bruises and scrapes, but that didn’t stop her. She popped up and pushed her bike up the hill that was in front of her. As a father, I have a number of responsibilities. I am to lead my family spiritually. I am to protect them from harm. I am provide for them. One area that we often neglect is the responsibility of modeling healthy habits. My daughter and I could have stayed home and watched a movie or played a video game. That would have been easy, but instead, we went out to the lake to do something active and, for her, something new. 7 years ago, I would have much rather sat on the couch. Mountain biking would have been totally out of my wheelhouse. Now, it is a part of my life. A healthy life is great for you to pursue, but don’t forget the people around you that need encouragement in this area. Some may even be asking for help. Lead your family to a healthier lifestyle. Bring them along as you take that journey. When you do, you will be honoring God and those people that God has put in your way on the trail of life.